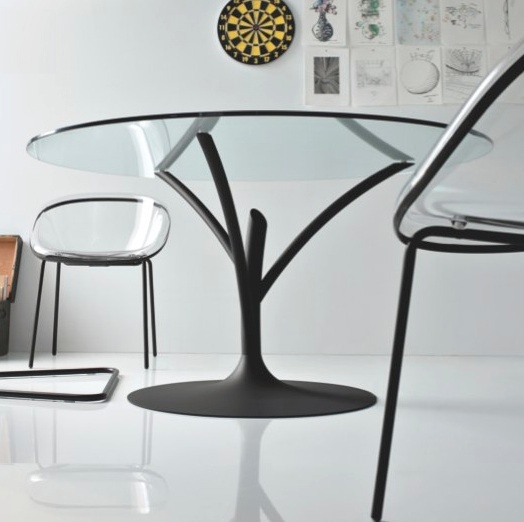 The sophisticated design of Acacia Table by Calligaris makes it a stunning accent piece for a variety of spaces. 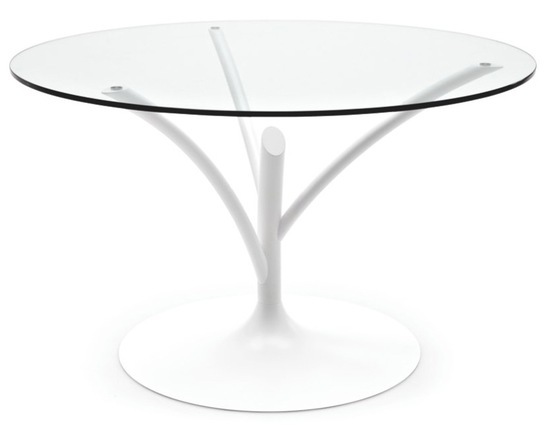 A metal base "trunk" rises from a circular base, and extends into branches which supports a round tempered round glass top. 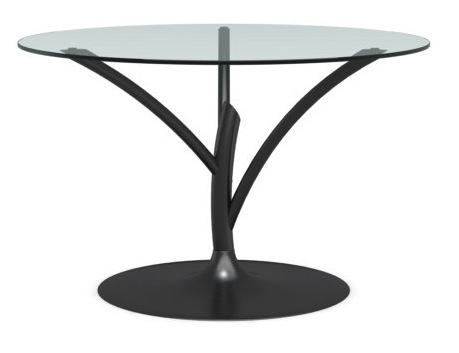 Its sleek and organic design recalling a tree natural shape give Acacia table an extremely lightweight look, yet provides strength and stability thanks to its metal frame.